Over the next 4 or 5 years the fleet of long-range anti-submarine Tu-142 aircraft operated by Russian navy will be upgraded, RIA Novosti reports with reference to a source close to the aircraft industry. Today the navy operates over 20 Tu-142 aircraft. “The Tu-142’s avionics suite will be upgraded. The anti-submarine equipment, navigation and weapon control systems will also be upgraded,” the source said. According to him, one of the key participants of the project is Zaslon Company (Former NTTs Leninets Plant), which already has experience in upgrading weapon control systems aimed at expanding an aircraft’s capabilities. 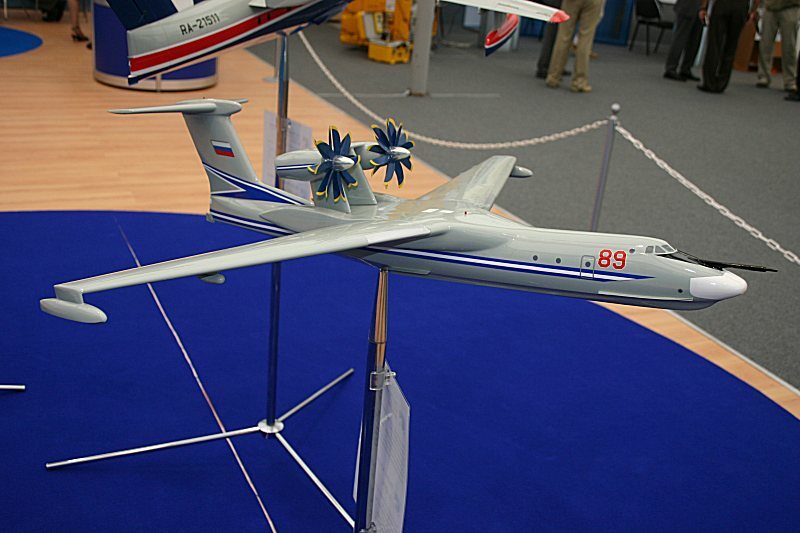 In general three companies will be involved in this project: Beriev Aircraft Company, Radar-MMS and Zaslon. Beriev A-40 Albatros is revived?? FSUE Tsentralnoye proektnoye obyedineniye (stands for Central Project Association), part of the Spetsstroy of Russia, issued a tender for development of a project for construction of water aerodrome in Zavoiko settlement (Kamchatka Krai); 67,5 million rubles will be allocated for this project, the request was posted at the website to state procurement, RIA Novosti Nedvizhimost reports. “The parameters of A-40 “Albatros” (amphibian aircraft) are used for calculations at design stage,” said in the document. A main contractor must design the aerodrome having dimensions of 6х4,5 km and a depth of around 5 meters; the territory must be fitted with floating lights and special reference points. It also must have parking for four seaplanes, two seaplane ramps and a quay for staff boats. Moreover, the contractor will have to design drainage facilities, control center, asphalt-concrete site for ground support equipment and vehicles, parking for staff cars, hangars, warehouse, checkpoint and roads located inside the aerodrome’s territory. The applications must have been submitted until May 12th, RFP stage was completed on May 26th. The project must be implemented in 45 days after signing the contract. George1 wrote: Beriev A-40 Albatros is revived?? I wonder if floating ekranoplanes can also to the job? but definitely revival of passenger airctraft and new Tu-204sand Il-114 is great idea to stimulate drop price per bird for civilian market. From a helo the main weapons will be small calibre torpedoes and guided depth charges. In terms of depth charges it could use the S3V guided bomb with active sonar homing. It weighs 94kgs and is dropped into the water using a parachute... it then scans for targets using its sensor and steers itself towards any targets it finds as it falls through the water. There is also the 324mm calibre TT-4 homing torpedo. It weighs 380kgs and is powered in the water. There are also custom designed mines and also a special fuse that can be attached to standard aviation bombs to turn them into seabed mines. the MS-21 is supposed to replace the Tu-204/214 and Tu-154 so it should be in the right weight class, and it is supposed to be ready for delivery in 2017 so in answer to your question... probably the Yak-242. Zhukovsky (Moscow region)., June 30 - RIA Novosti. The new unified platform to replace the aircraft IL-38 and IL-20 in the interests of naval aviation of the Russian Navy will be introduced until 2020, told reporters on Tuesday the chief of Naval Aviation Russian Major-General Igor Kozhin. "The platform is now selected. By 2020 it will be introduced, will be the general structure", - said Kozhin, answering journalists' questions about the timing of input of the new platform. According to the chief of naval aviation, unified platform, created to replace the Il-38, as well as other asw aircraft type will be completely new and will replace all existing marine park aircraft patrol cars. "This is a new, modern machine that many issues will exceed their foreign counterparts. We appreciate the opportunity for its construction," - said Kozhin, answering journalists' questions about the main characteristics of the new platform, which should enter into operation in 2020. Likely the Yak-242, which is the designated replacement for the Tu-204 and Tu-214 and also the Tu-154... (Yak-242 is better known currently as the MS-21). the MS-21 is slightly bigger than the Sukhoi superjet and would be better suited to the role than the Il-114 which would be too small, and the Tu-214 which is being superseded. the biggest loser will be the still fairly new Tu-214, which has been chosen for various government roles... perhaps now the MS-21 will take those too over time. GarryB wrote: Likely the Yak-242, which is the designated replacement for the Tu-204 and Tu-214 and also the Tu-154... (Yak-242 is better known currently as the MS-21). I hope this would not be the case - Tu-214 is ready to be produced and no teething problems. No imported parts... and you keep production lines letting Yak capitalize on export potential.. Modernization is installed on airplanes of the new search and targeting system "Novella-P-38", which greatly expanded the scope of tasks solved by aircraft and their combat capabilities. MOSCOW, July 17 - RIA Novosti. The Russian Defense Ministry has signed a contract for the modernization of another batch of aircraft IL-38 Sea naval aviation, aircraft will receive updated advanced search and destroy submarines, said on Friday the press service of the company "IL". In 2015, "Aviation Complex. Ilyushin" has completed execution of the state contract for the repair and modernization of a production of the first batch of anti-IL-38 Naval Aviation Navy Russia to the level of IL-38N. "From the Ministry of Defence of the Russian Federation signed a new contract for the modernization of the next batch of anti-IL-38 Naval Aviation Navy Russia to the level of IL-38N," - said in a statement. Modernization is installed on airplanes of the new search and targeting system "Novella-P-38", which greatly expanded the scope of tasks solved by aircraft and their combat capabilities. The upgraded aircraft will be able to successfully meet the challenges of patrolling, search and destroy submarines using extended, compared to the baseline IL-38, the range of weapons. GunshipDemocracy wrote: I hope this would not be the case - Tu-214 is ready to be produced and no teething problems. No imported parts... and you keep production lines letting Yak capitalize on export potential..
No, screw turbofans on Maritime Patrol Aircraft. We've been through this already, it's not a good solution. Russia needs a new mid-sized turboprop engine to replace the Motor Sich Ivchenko one sometime in late 2020, and an airfraft to go with it. Until then, you don't need a new model MPA. Get the engine done, then then worry about new aircraft. Sea Dragon upgrade is a decent stopgap until then. I wonder if there are any programmes working on unducted propfans in Russia? The Il-114 is supposed to have 2,750hp turboprops based on the TV117 engine, but that is half the power of the engines on the Il-38. The D-27 is Ukrainian and at 14K hp it is probably too powerful... even with just two engines per plane. The NK-12 is also too powerful... perhaps a new turboprop variant of a new engine with a scaled power range that could eventually be used to power a range of aircraft from Il-112/114 through to the MTA and other aircraft... and perhaps even heavy UAVs. Well, if they could install turboprops on A-40 what is stopping them from doing the same with Be-200? Turbofans have very poor efficiency at low speeds compared to turboprop engines, which means that they do not loiter over a small area as well as tubroprops. While this is not an issue for most long range aircraft, MPA need to have an ability to stay for longer periods of time over a small area while searching for submarines. Poseidon has long been critized for being inferior in this regard compared to Orion. P-8 can still loiter, of course, but it will have worse fuel efficiency compared to P-3 or Il-38, and hence smaller operational time. I see that your Tao of Raspil is really weak, my young padawan.